If you have questions about car insurance but not a lot of time to research, check out these brief responses to common questions. Q: If my friend borrows my car and crashes it, whose insurance pays? A: Yours does, because you own the car. Sorry. Q: What are the best ways to save money on car insurance? A: Shop around to compare car insurance rates and bundle policies. Q: What is “bundling” of insurance? A: It’s buying at least two policies from the same company. Q: How much will my rates go up if I cause a car accident? A: About $800 in California, for example. Increases vary by state. Q: Who are the best car insurance companies? A: Amica, Erie and Auto-Owners, according to NerdWallet’s rankings. Q: Who has the cheapest auto insurance? A: Often Geico, among the largest insurers. But shop around. Q: I was rear-ended. The other guy says I slammed on my brakes and caused the accident. Whose fault is it? A: The other person’s. Make a claim against his insurance. Q: When do teen drivers have to be added to insurance? A: Typically, when the teen gets a driver’s license. Save up! 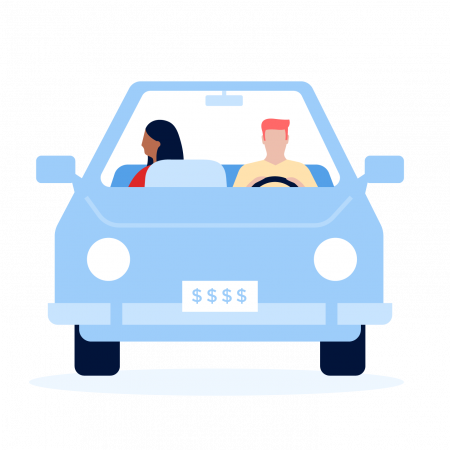 Q: Is it cheaper to add teen drivers to a parent’s auto insurance or get them their own policy? A: It’s usually cheaper to put them on a parent’s policy. Q: Can I buy insurance in one state even though I live in another? Q: Do I need a driver’s license in order to buy car insurance? A: Yes. If the license is suspended, you’ll probably be dropped. Q: Can my auto insurer cancel me before the end of the policy? A: Only for certain reasons, like not paying premiums or fraud. Q: What is “full coverage car insurance”? A: It generally means you have liability, comprehensive and collision coverage. Q: If I have full coverage car insurance and rent a car, do I still need rental car insurance? A: No. Your personal auto insurance usually extends to a rental. Q: Can my auto insurer make me use a certain body shop? A: That is barred by most states under “anti-steering” laws. Q: Where can I make a complaint about my auto insurance company? A: Your state department of insurance is the right place.